Clove and Hallow puts out new and exciting limited edition products every holiday season and this time I have the scoop to show you all the goods! 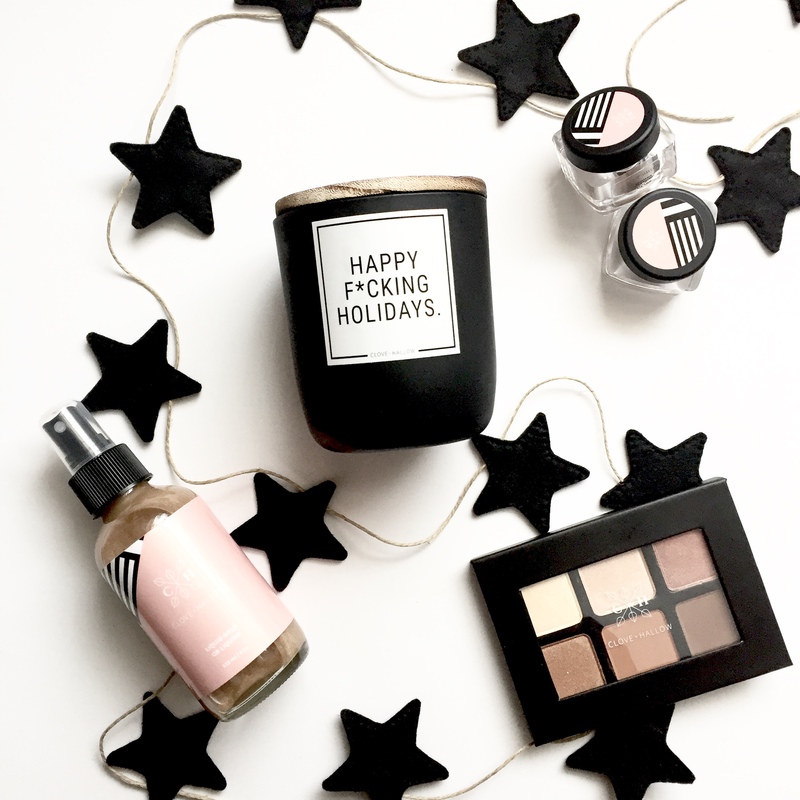 This year there was an eye shadow palette, rose gold face setting spray, shimmer duo and some really cheeky holiday themed candles made with safer ingredients for the home. Here they are in all their 100% Vegan and cruelty free glory! 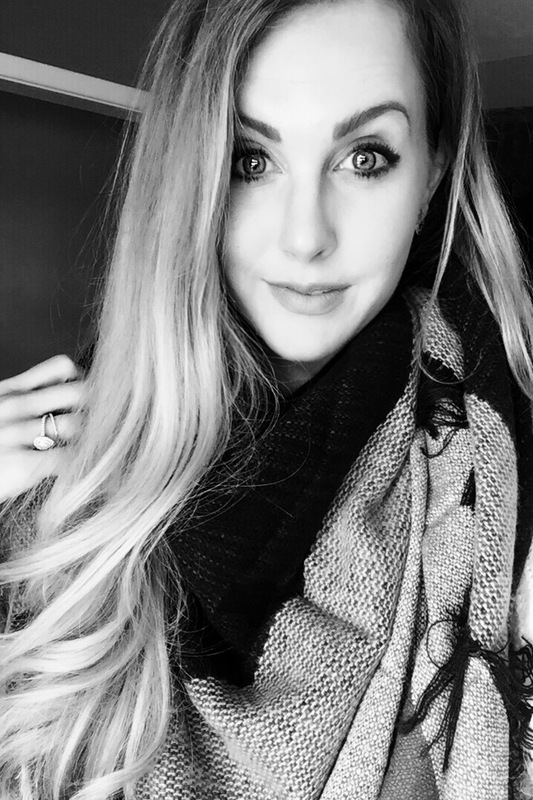 I don’t often get all glammed up anymore after becoming a Mom. You can find me sans makeup with my hair up most days while I tackle mountains of cleaning and chase a busy toddler.. but when I DO get to do makeup for myself, I have a LOT of fun. I used to get all dolled up often and always found playing with my makeup to be soothing and an act of self care. I look at makeup as art and an outlet to be creative so I had SO much fun busting out all of my favourite palettes and shades to put together this look for the Holidays. To top it off, I received 4 gorgeous sets of vegan & cruelty free magnetic false lashes to put the cherry on top of this look. I had never tried magnetic lashes before and have always been intrigued by them.. the idea of not using glue near my eyes was a plus. 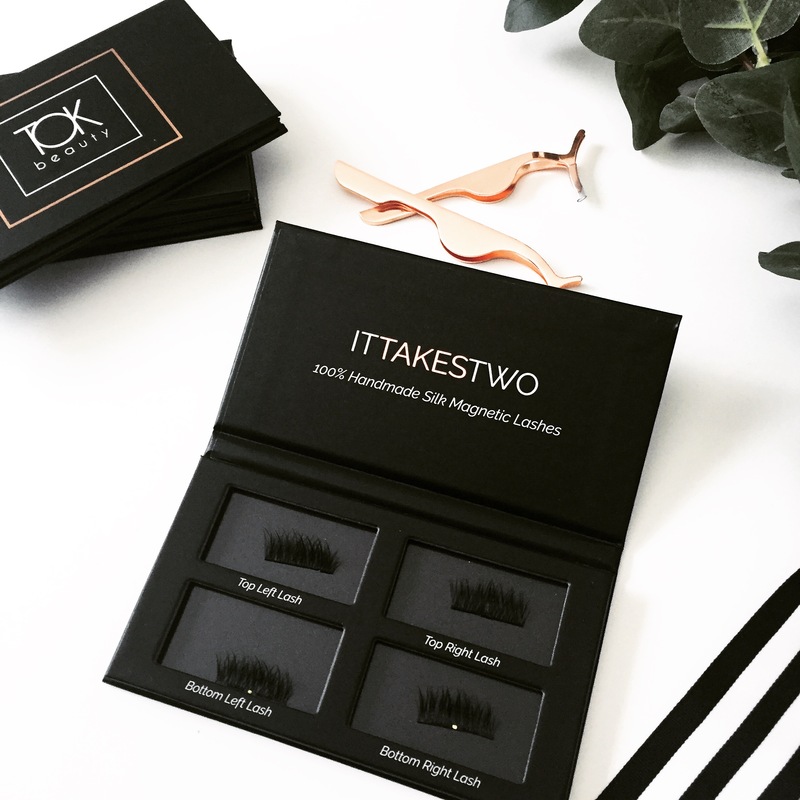 I put together this post outlining the look I created with all the products used as well as a review of TOK Beauty’s magnetic falsies and a few tips and tricks on how to wear magnetic lashes. 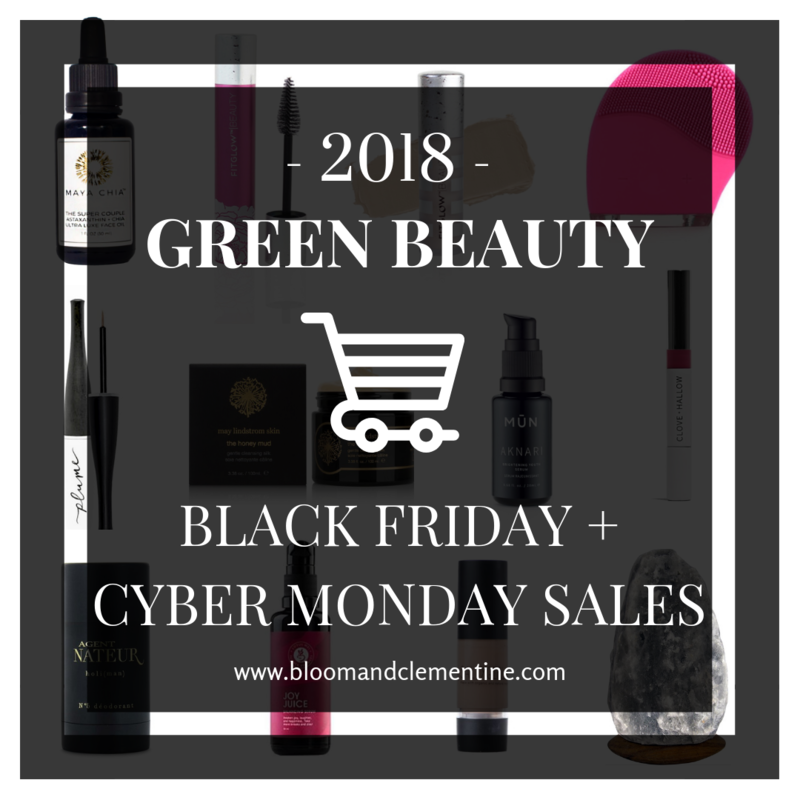 I have spent some time compiling some of my very favourite products from green beauty and wellness for the 2018 Holiday season. These are all products that I personally have used and LOVE! 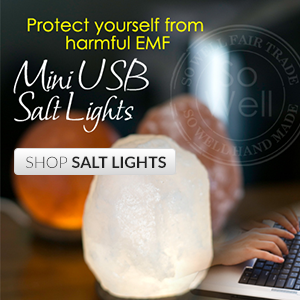 I will be adding some of these to my own wish list this year as a stock up. 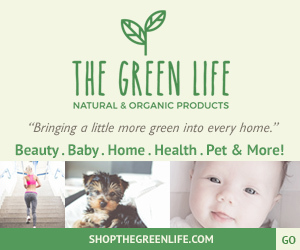 There is everything from stocking stuffers to skincare to body care to hair care to wellness products. 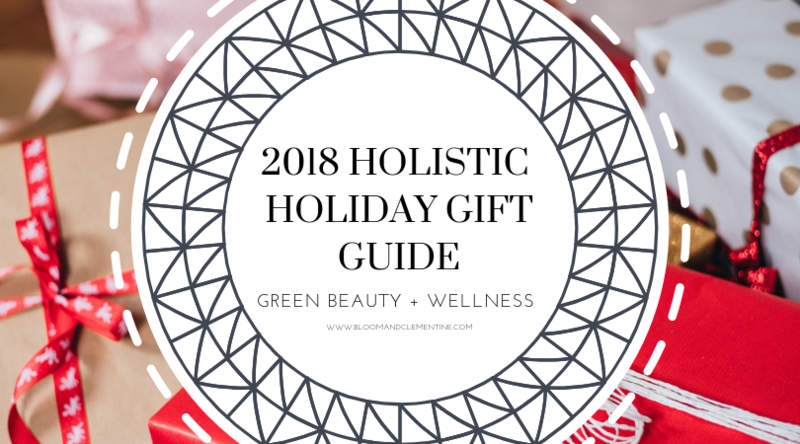 If you happen to be shopping for the Men in your life, I have also put together my 2018 Holistic Holiday Gift Guide for Men which you can access HERE. Its that time of year again! Black Friday, Cyber Monday and Holiday sales are usually when I re-stock my shelves with some of my most tried and true favourites. It’s also a great time to shop for gifts for family and friends. That being said, with all the buzz and excitement surrounding these days of savings, remember to be mindful of consumption. 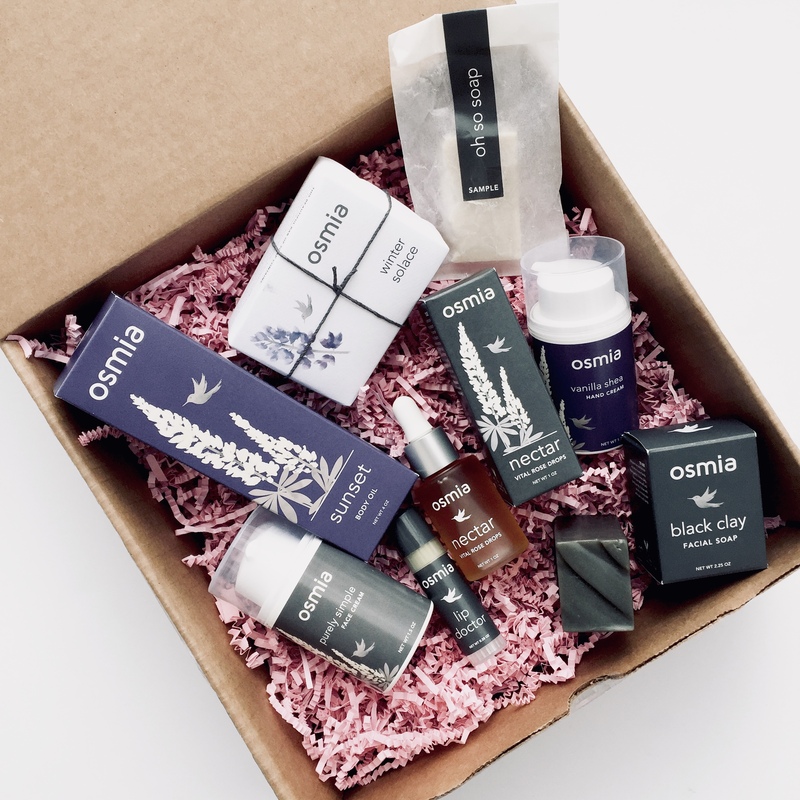 I tend to use this time to really think about what my all time favourite green beauty and wellness products are and what I really need and will use. Don’t go broke over a good sale, but instead be mindful of what you truly love to keep in your shelves for a little R&R. That being said, I have made a list of some of my favourite shops who are taking part in the Holiday sales. I’ve included my favourite products from each for inspiration. I am always available to answer questions, simply comment on the post below, send me an email or Direct Message. I have been testing all the holistic lotions and potions on my Husband for years now. He’s been a real sport! He listens to me talk about holistic living and has always been really supportive of my choices, and of integrating my holistic ways into our lifestyle. There are some products that he has permanently added into his daily routine and I’m going to share some of my favourite choices for men when it comes to green hygiene and wellness products. Lets be honest, I tested these products too and tend to steal them from him when I run out of my own! 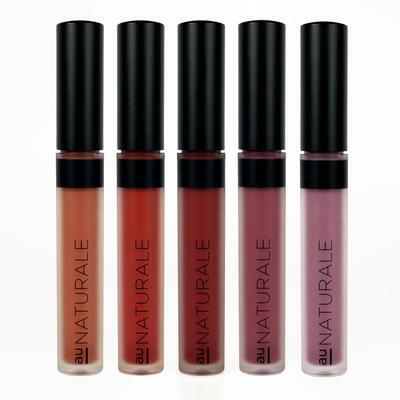 These are great options to throw in a stocking or as a bundled gift for someone you love. Happy Holiday Gift Giving! 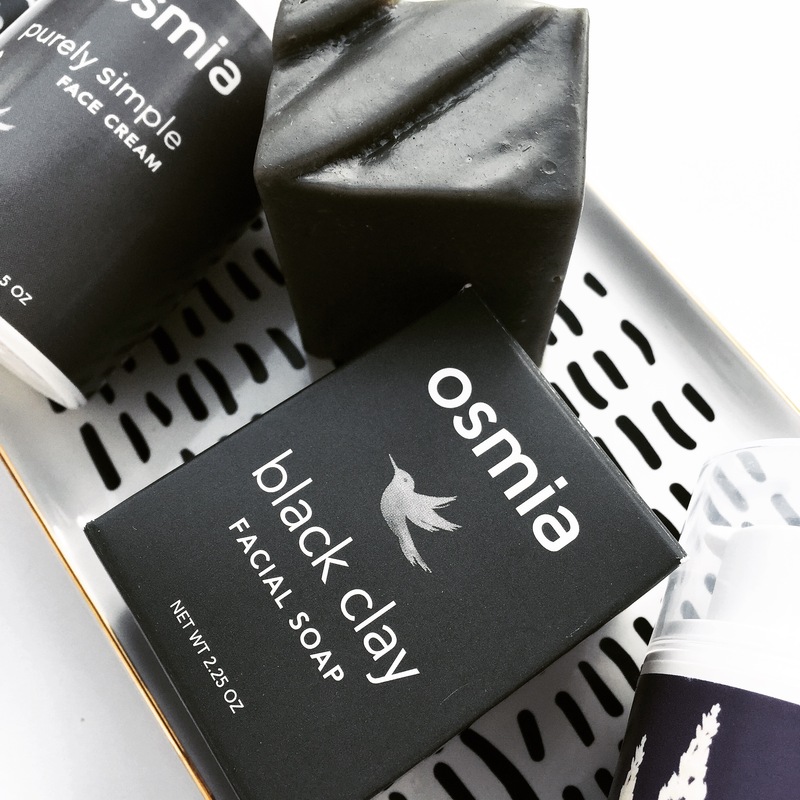 There’s something about Osmia and their products that has me in a bit of a trance. 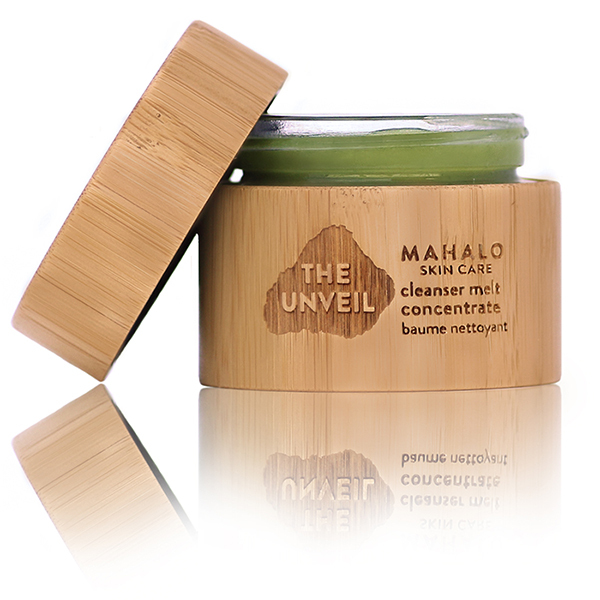 What I’ve noticed using their products is that every one of them comes with an experience deeply rooted in self care. 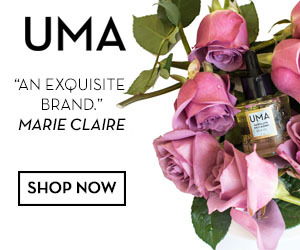 My olfactory centre has always been part of my self care, I appreciate good smells that invoke different feelings. This entire line seems to do that for me. 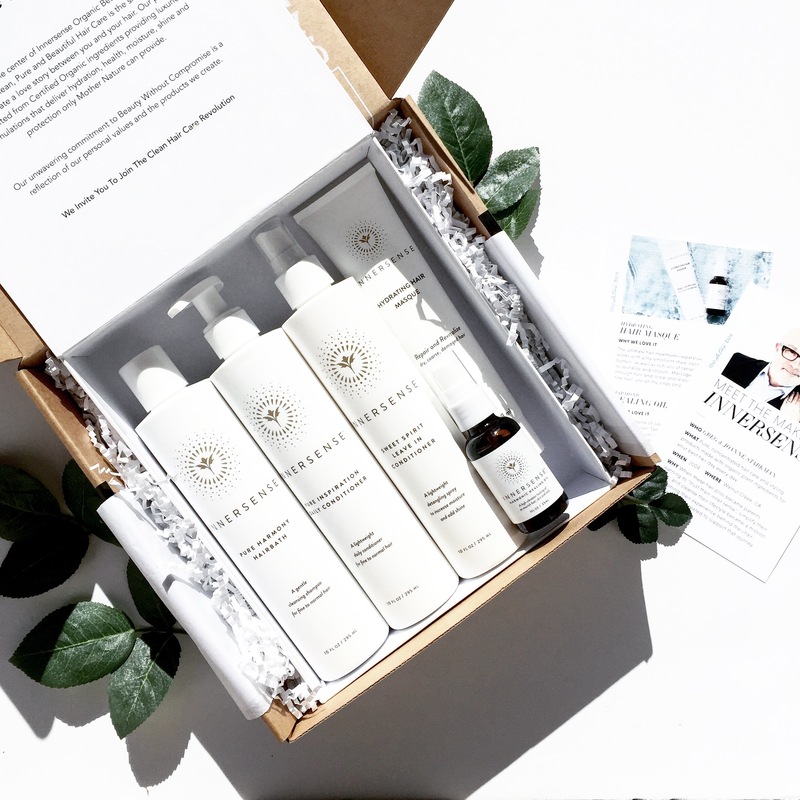 Their products are rich in quality, sourced impeccably, driver quality skincare, and create the most relaxing experience. They will envelope you and create the most rich sense of calm and self care imaginable. 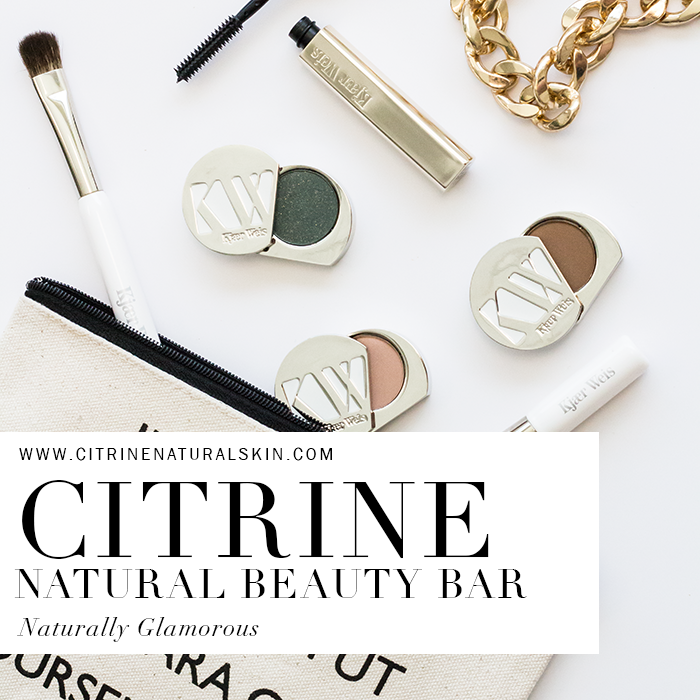 I have fallen deeply in love with every product I’ve tried from this line, there really have been no misses for me.. so as I do with all my favourite collective brands: I made a full guide and review so you can read all about my experience with their products. 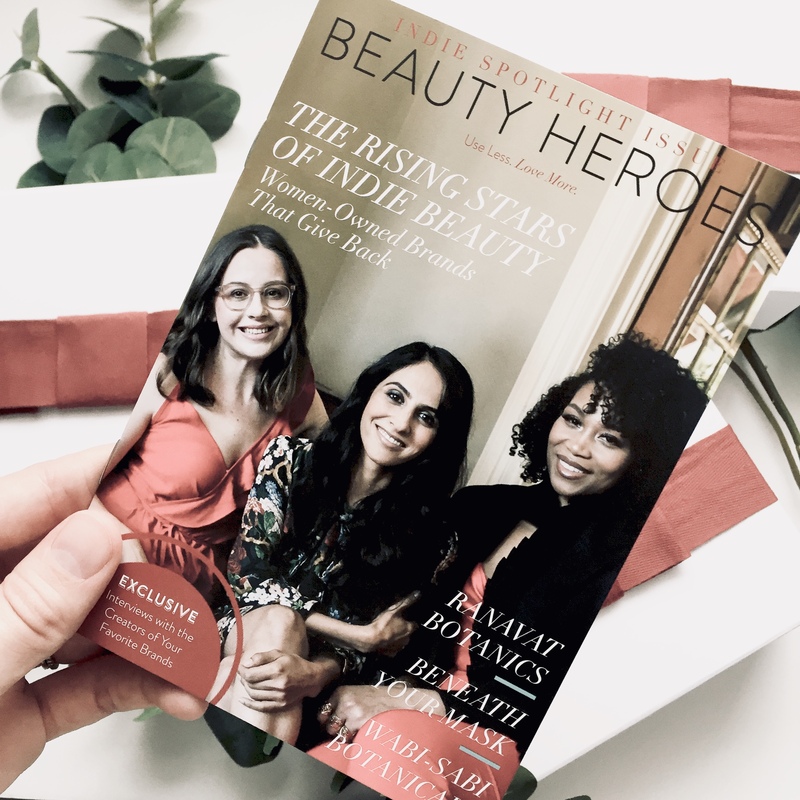 I have been in the green beauty industry as a blogger for over 3 years now and I have tested SO many beauty and skincare products. 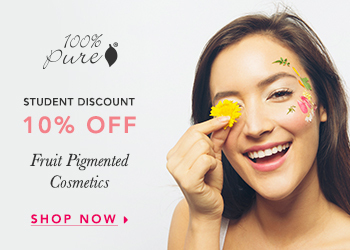 Some really tend to stand out and the one product I am most strict on are serums and facial oils. 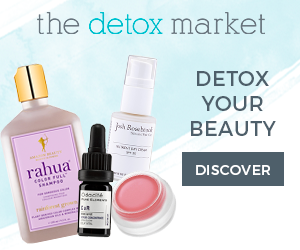 They are a potent and important step in a skincare routine.. this is where you will get the MOST nutrition, hydration and vitamins into your skin. 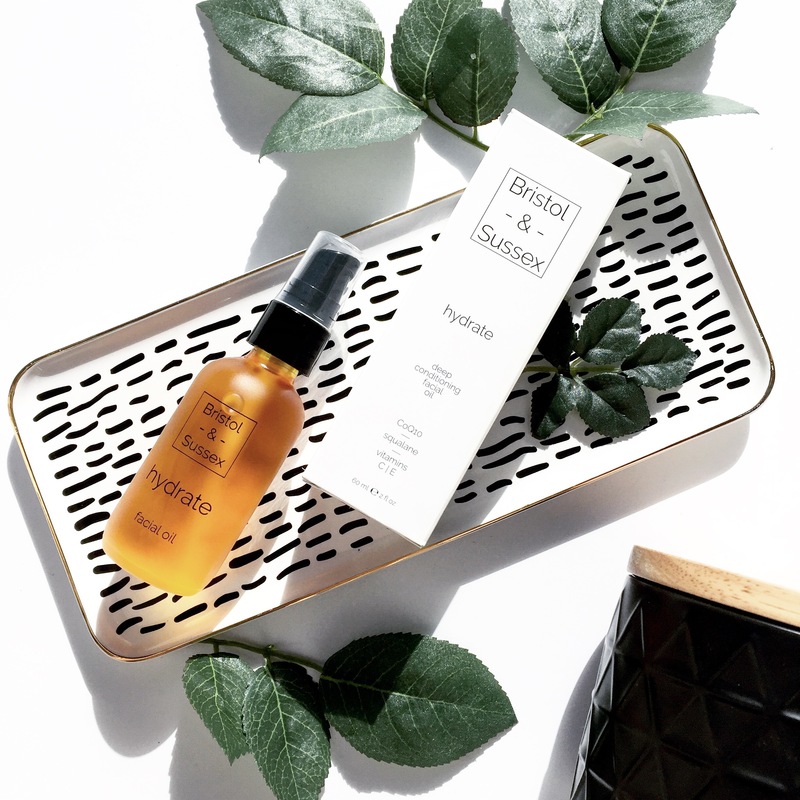 Not every serum or oil is made at the same level of quality however, and there are so many on the market that it can be difficult to discern which are the best fit for your skin. I have recently found one that has been added to my list of top recommendations and I wanted to share all about this little gem today. 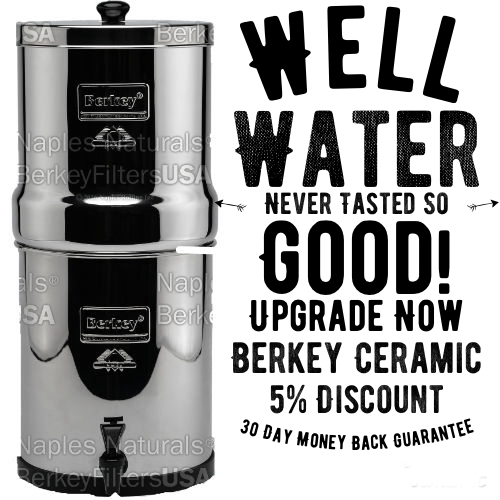 I have been using it for about two months now and have been loving it. The Fall and Winter months bring with them perfect Autumn weather followed by the Traditional Holiday Season that warms everyone’s soul. It also brings with it an abundance of Viral Infections such as the Common Cold, Influenza A and B, and many bacterial conditions secondary to their viral counterparts (ie. pneumonia or ear infection). There are a multitude of reasons why cold and flu season occurs every year at the same time, the most undeniable reason being the dramatic reduction of natural Vitamin D due to lack of exposure from the sun (as compared to the Spring and Summer months when it is more accessible and pleasant to spend time outdoors). We are also at higher risk being indoors and in closer contact and proximity of others which promotes the spreading of germs. There are also suggestions that cold either preserves germs more effectively on surfaces, as well as reduces our body’s ability to fight off infection. Regardless of the source, we all know the cold and flu season all too well. We try our best to avoid contracting viral infections and I personally have a regimen that I keep my family on that feeds the body with immune boosting vitamins and minerals to keep viral infection at bay. 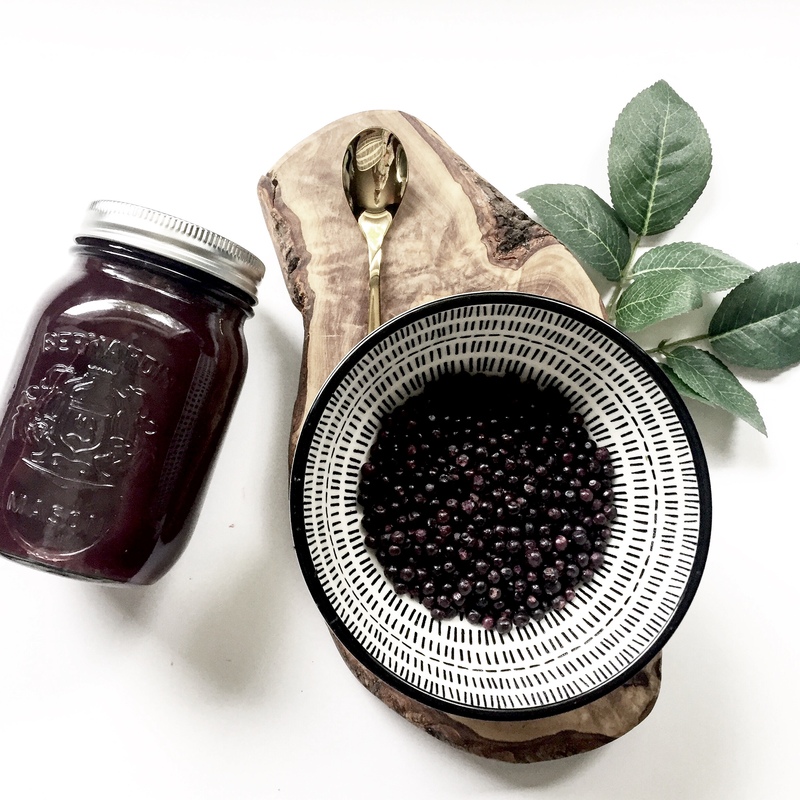 One of my favourite ways to do this is to use elderberry syrup as a supplement and therapy to reduce the duration of infection.